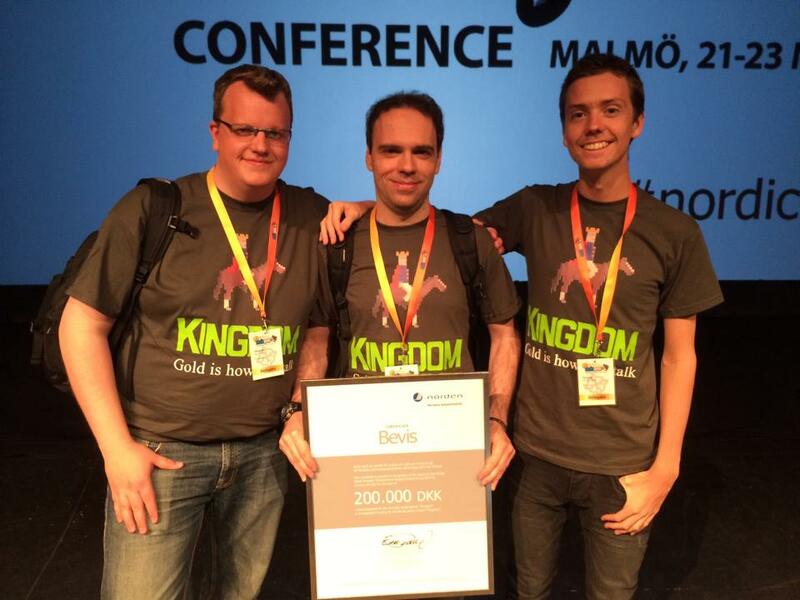 A kingdom-building simulation game developed by Thomas van den Berg and Marco Bancale with support from publisher Raw Fury Games, ‘Kingdom‘ was released on 21 October 2015 for Microsoft Windows, OS X, and Linux systems. The game is played out on a pixel art-based 2 dimensional landscape; the player controls a king or queen that rides back and forth, collecting coins and using those coins to spend on various resources, such as hiring soldiers, farmers, archers and weapon smiths, building defences against creatures that can attack and steal the king or queen’s crown which will end the game, and otherwise expanding their kingdom. What makes the game unique is that the player has otherwise little direct control of the game, and thus must use the coins they collect in prudent ways. 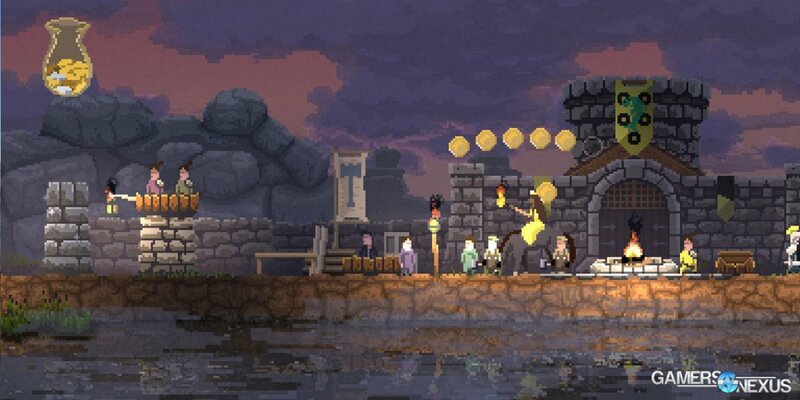 Since it’s release Kingdom has had rave reviews appreciating everything from the game’s modern approach to its pixel style art to the scenic music present throughout. Thomas learned pixel art animation around 5 years ago, ‘which yielded the original horse animation’ which is a staple within the game. The king was later added and these creations and would become the ‘seed that the game grew from’. The game is known for it’s simple yet addictive premise, when designing the game Thomas’ first thought was that the ‘king needed subjects who do their own thing and interact with each other’. This is where the villagers that we came to know, love and loath first came into existence. Later it became obvious that these villagers ‘needed some kind of adversary to pose a challenge’ and while these creatures are famed across the game for their devastating effect on the village and its inhabitants, at no point was Thomas terribly concerned about their designs being serious. He originally drew the beasts as ‘troll-faced noodly-armed monsters’. Looking back Noio thinks that this early work was ‘influenced by the really pretty looking pixel art games’ that were becoming more popular at the time. Games like Sword & Sworcery being a great example, as they are famed for using pixel art to make ‘beautiful impressionist visuals’. Many people fell in love with the game when they saw the graphics, a mixture of modern pixel art with a nostalgic tone, it was inevitable that the art was going to capture its audience. One of the main reasons for this aesthetic design choice was the fact that pixel art was a style that Thomas and his team could use to create an entire game while still looking beautiful. At the time, he described his animation skills as ‘pretty basic’, and by limiting the creative space he used, he could use a ‘trial and error approach’ to get some really ‘nice looking graphics’. Making and implementing this pixel art was a ‘relatively fast workflow’, which was beneficial for the small team behind the project. From the left: Jóhannes Sigurðsson, Marco Bancale and Thomas van den Berg. Kingdom became notorious after a number of YouTubers picked the game up for lets-play series on their channels. After the initial popularity of the game, it’s hard to believe that the team behind Kingdom once ‘feared that the game would not be suitable to being streamed because watching it can spoil some of the discovery and surprises’. Thankfully the ‘humorous aspects of the game’ weighed far heavier than the prospect of these spoilers. In fact, the nature of the game meant that in reality many viewers already knew how to play the game, and in fact, they rather enjoyed ‘watching an online gamer get wrecked’. One of Thomas’ loves is ‘building systems that power different visuals’. The water shader and system that dynamically colours the game—depending on the weather—are examples of this work. He also likes to ‘observe what happens when you program agents with simple behaviours and see how they interact and what behaviour emerges’. With such a well know and seeming simplistic series it’s not at all obvious that the project ever faced challenges in the development stage. Behind the scenes the development team had very little help, Thomas described the process as ‘walking the line of non-handholding: between the satisfaction of discovery and frustration’. Not one to shy away from criticism, he also stated that within the game ‘some mechanics aren’t doing their job’. Despite this, the launch of the game was considered hugely successful amongst the designers and gamers, with the game ‘slowly growing since’ the release. Thomas described the growth as ‘really motivating’ as the team continues to ‘work on more content and patches’. Both good and bad news for fans of the series, as of yet Thomas isn’t working on anything new but is instead ‘110% focused on new platforms, content, and fixes for KINGDOM’. Are you a fan of the series? What did you think of the art? Let us know below! Hi, saw you visited my site thus i came to do the same! I’m attempting to find some things to improve my website! I hope its ok to use a few of your ideas!! I’m planning to start my a bew website soon but I’m a little lost on everything. I notice that you stopped by my old blogger page – i hate it now. But thanks for sharing it. Hi James, If you really want to play i suggest you get the game from steam, it’s an indie game afterall. It’s not expensive to buy and small developers and designers need all the support they can get. This is now on my steam wishlist! I’ve watched so many people play, but feel like it’s still worth it. Cool article bro. You did a good job. SO ADDICTIVE… You never really think about the work that goes in though. Reallly like the game, and the art is spectacular. It has some really stunning backdrops, especially when the sun is setting and there is mist on the river. I love the game and follow many people who play it!